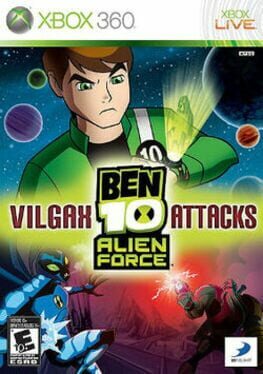 BEN 10 ALIEN FORCE: Vilgax Attacks is the latest game in the multi-million unit selling video game series. Players will have the opportunity to experience the vast ALIEN FORCE universe in a brand new action-adventure game, taking Ben into outer space and distant planets for the first time ever in the series to battle against a terrifying threat that only he can stop! Ben Tennyson’s greatest enemy of all time, Vilgax, has been busy assembling his own extreme team of Ben’s most fearsome foes in a grand scheme to take over the universe one planet at a time, culminating with the destruction of Ben’s home planet, the Earth! One planet after another—including some of the home worlds of Ben’s alien forms—has quietly been falling under the control of Vilgax and the villainous underling bosses he’s been stationing on each conquered world to rule ruthlessly in his stead, each more eager than the next to rid the universe of the bane of their collective evil existence, Ben Tennyson, once and for all! Now it’s the Earth’s turn and Ben’s the only person for the job! The fate of the whole universe lies in your hands! 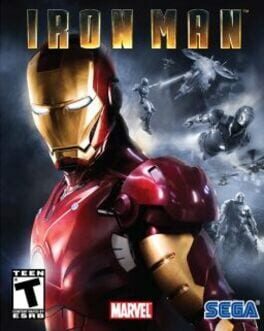 Iron Man is a 2008 video game based on the film of the same name as well as the classic iterations of the character. It was released on May 2, 2008 to coincide with the release of the film in cinemas. 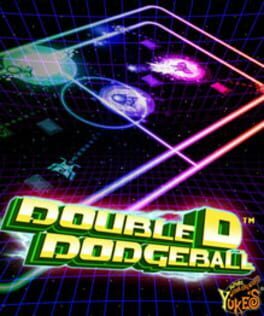 The game is published by Sega, and was released on PlayStation 3, Xbox 360 (developed by Secret Level), PlayStation 2, PlayStation Portable, Nintendo DS, Wii, Microsoft Windows (developed by Artificial Mind and Movement) and Mobile platforms. The enemies are Advanced Idea Mechanics, the Maggia and the Ten Rings terrorist group. 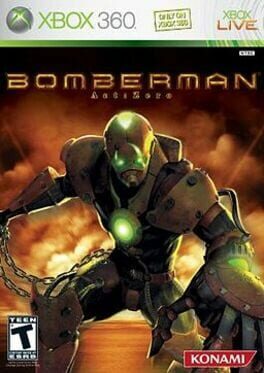 The supervillains in the game includes Blacklash, Controller, Titanium Man, Melter, and Iron Monger. A significant feature has Robert Downey, Jr., Terrence Howard and Shaun Toub reprising their roles from the film. 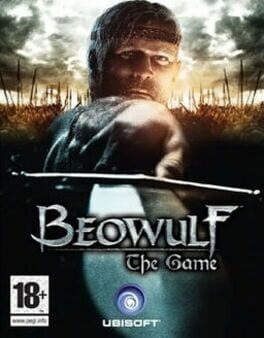 Beowulf: The Game is a hack and slash game for TOD and consoles, based on Robert Zemeckis' version of the poem Beowulf. 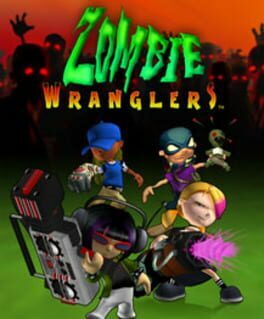 The game was announced by Ubisoft on 22 May 2007 during its Ubidays event in Paris. It was released on November 13, 2007 in the United States. The characters are voiced by the original actors who starred in the film. Jump through an infinite world where there are no boundaries. 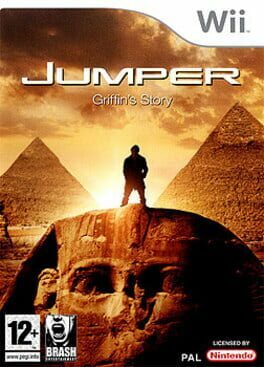 You are Griffin, a teenage anti-hero, who can teleport through a rift between the time/space continuum. Jump the planet to hunt down packs of Paladins, an evil group of super-humans responsible for killing Griffin's family and altering his world forever. Combat and teleport your way through visually stimulating levels of time and space to conquer Griffin's enemies in this action-packed crusade. Superman Returns is a video game based on the movie of the same name, It was developed by EA Tiburon and published by Electronic Arts in conjunction with Warner Bros. Interactive Entertainment and DC Comics. It features a story arc from the movie, which was released on June 28, 2006, and more than 60 years of comic book content. EA Tiburon, known for its Madden NFL game series, has claimed that the game combines strong creative vision and compelling new technology to deliver a powerful and emotional gaming experience to their consumers, and they will experience a real sense of flying while mastering Superman's superhero powers to save Metropolis. In the game, Superman combats Bizarro, who does not appear in the movie, as well as other classic villains (including Mongul) as well as being able to play as Bizarro for a short period of time in one of the many minigames inserted into the game. 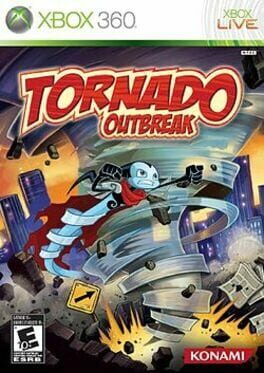 The game was produced for the Xbox 360 as well as the Playstation 2 and Nintendo DS. A port for the PlayStation Portable was planned but cancelled due to it not having enough power to support the game. Electronic Arts and Warner Bros. Interactive Entertainment secured an all-star cast for the voices in Superman Returns: The Videogame. 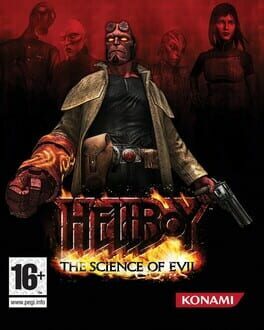 The game features the voice and likeness of Brandon Routh(Superman/Clark Kent) as well as the voices of Kevin Spacey (Lex Luthor), Kate Bosworth (Lois Lane), Parker Posey (Kitty Kowalski) and Sam Huntington (Jimmy Olsen), all reprising their roles from the Warner Bros. Pictures film directed by Bryan Singer. 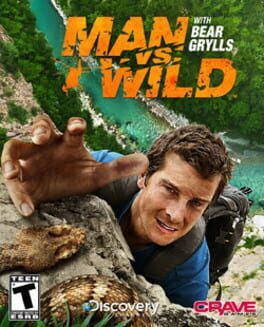 The Nintendo DS version also features games based on the film, but they are fundamentally different from the console title. 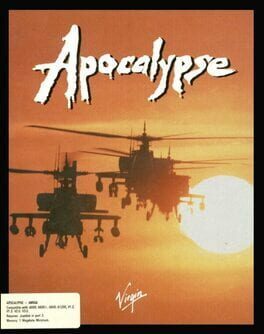 The games were delayed from their original release date (set to coincide with the theatrical release of the film) due to design complications and issues with polish on the console game. The handheld games were delayed in order to preserve a simultaneous release with non-handheld SKUs. 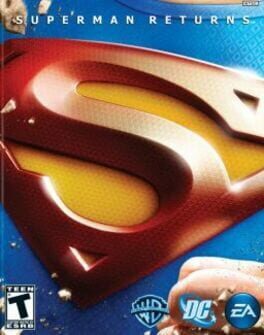 The games were ultimately released on November 22, 2006 in the United States and November 30 in Australia, to coincide with the DVD release of Superman Returns. 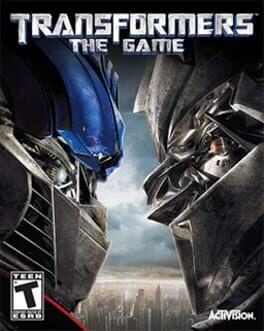 Transformers: The Game is the name of multiple versions of a video game based on the 2007 live action film Transformers, all of which were released in North America in June 2007. Home console and PC versions were developed by Traveller's Tales for the PlayStation 2, Xbox 360, Wii, PlayStation 3 and PC. A different PlayStation Portable version was developed by Savage Entertainment. Transformers Autobots and Transformers Decepticons are the Nintendo DS versions of Transfomers: The Game. 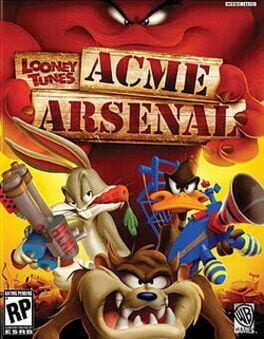 Vicarious Visions, who was tasked with bringing the adaptation to the Nintendo DS, chose to adapt the DS version into two separate games. Autobots follows the heroes' perspective while Decepticons follows the villains'. Unlike games with multiple SKUs such as Pokémon which feature only minor differences between versions, these are two separate games, sharing some basic similarities, but with unique characters, missions and locations. 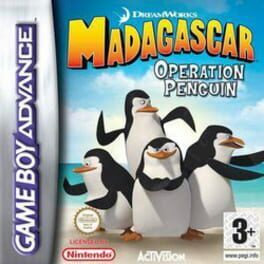 The zany penguins from Disney's MADAGASCAR: OPERATION PENGUIN movie return in Activision's MADAGASCAR: OPERATION PENGUIN for the GBA. The Penguins plot to escape from the zoo and, in the progress, rope other animal into their crazy plot. Like in the movie, the penguins want out of the New York zoo. As the game opens, the crack team of penguin escapees has put the finishing details on their escape plan, which involved digging a tunnel under the zoo and all the way to Antarctica. Of course, this isn't as easy as it sounds, and the penguins will need a number of supplies, items, and help. And along the way, they also intercept a group of four lost animals on their way to the island of Madagascar. Gamers take control of Private Penguin, who is assigned a number of missions to accomplish. He begins with a few standard attack and jumping moves, but as the game progresses, he will learn more powerful attacks and abilities like sliding. He will also find several useful gadgets to defeat enemies with. The four main characters from the MADAGASCAR: OPERATION PENGUIN movie show up at times, as well. While gamers of all ages will enjoy the crazy penguin antics, the difficulty of the game is aimed at younger gamers. The puzzles, challenges, and levels are just right for young fans of MADAGASCAR: OPERATION PENGUIN, and the MADAGASCAR: OPERATION PENGUIN will provide hours of wacky penguin entertainment. 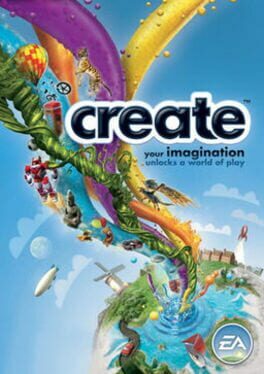 Create is a family-friendly puzzle-solving game where players must use their creativity to solve over-the-top, spatially based puzzles. Containing well over 100 puzzles from a variety of categories and set within several differently themed environments, Create allows players to let their imaginations run wild as they use virtually any object available to solve the unlikely challenges set before them. Additional features include extreme customization of game environments and the ability to share creations online with friends via Xbox LIVE. 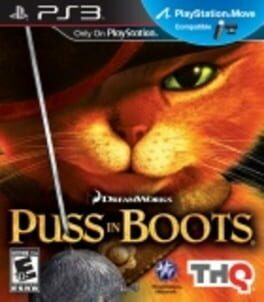 In the years before meeting Shrek & Donkey in Shrek 2, Puss in Boots must clear his name from all charges against him that has made him a wanted fugitive. While Puss is trying to steal magic beans from the infamous criminals Jack and Jill, the hero crosses paths with his female counterpart, Kitty Softpaws, who leads him to his old friend turned enemy, Humpty Dumpty. Memories of friendship and betrayal enlarges Puss' doubt, but he eventually agrees to help the egg get the magic beans. Together, the three of them plan to steal the magic beans, travel to the Giant's castle, steal the golden goose, and clear Puss' name. 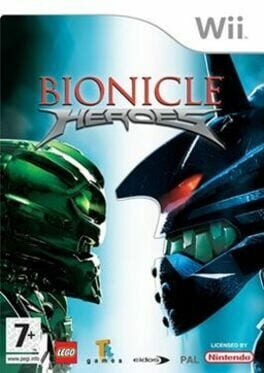 Bionicle Heroes is an action-shooter where the player takes on the role of the various Lego Bionicle Toa Inika - Jaller, Matoro, Hahli, Kongu, Hewkii, and Nuparu. These heroes wear Toa Masks of Power - powerups you can find throughout the levels to gain different elemental based abilities. You'll also find Bionicle cannisters to help aid your quest to defeat Vezon - the 7th Piraka who had stolen the Mask of Life. Gameplay centers around firefights against the alien "robots" called Vahki, Visorak and Borhok. Players will collect Lego pieces for every enemy you defeat, and eventually enable an invulnerable Hero Mode to help defeat the Toa's enemies. The Manhunters are an android race, originally created by the Guardians of the Universe to serve as the first interstellar police force. The Manhunters became more obsessed with administering punishment than serving justice, forcing the Guardians to dissolve their ranks. The few Manhunters that survived fled into exile and the Guardians founded a new elite police force called the Green Lantern Corps and armed its members with specially crafted power rings. 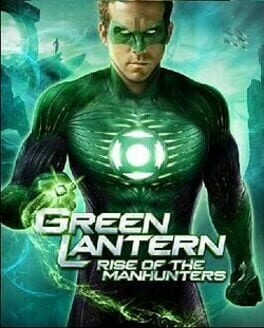 Now the Manhunters are back and out for revenge, readying their forces for a war against the Guardians and the Green Lantern Corps. Faced with destruction, the Corps is looking to gifted but cocky test pilot Hal Jordan as the newest recruit, to protect peace and preserve justice.